September 11, 2001, changed a lot of people’s lives. It didn’t change New York City very much, since things were already headed back to normal the day after, but it changed the lives of a lot of individuals. 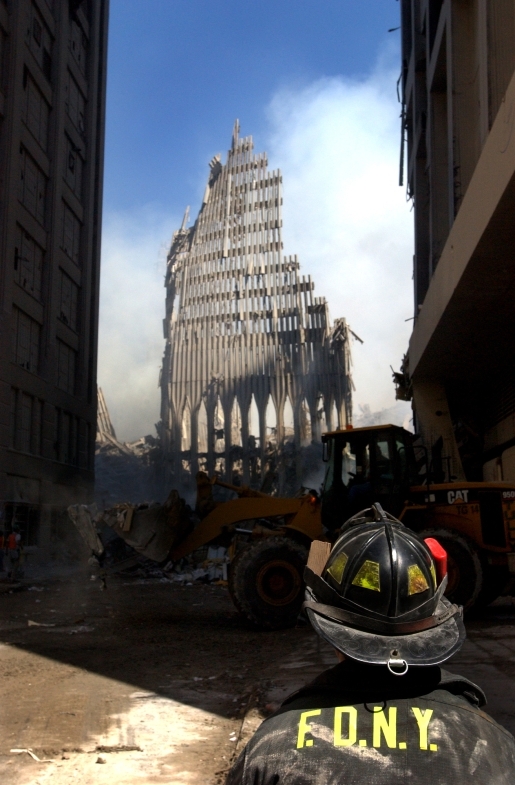 Specifically, it changed the lives of the families and friends of the 2,996 people who died that day. One of the more noble traditions of the blogosphere is Project 2996, where bloggers pick and memorialize a 9/11 attack victim to ensure that their memory lives on. I’ve participated before, on previous blogs, but I didn’t do it this year. I had a friend of mine, Doug Farnum, who died in the towers when the first plane hit right about where he worked for Marsh & McLennan. I hope whoever gets his name pulled out of the project hat does a good job. Thanks for coming by today. I’ll get off my soap box now. Let’s find something funny in the news, shall we?